It has been quite a while since I last posted; my university exams are over and its “summer vacation” so time to “begin” again. Anyway, this was a character challenge from polycount , i kept the scope to just the head and hair. The technique for the hair was the main thing i was trying to learn since i haven’t “successfully” completed any hair using alpha planes to date and it was a chance to brush up on my facial anatomy and do some details like wrinkles, pores etc. Hair planes should be bigger; do not use thin strips instead try to capture the volume with larger planes first and add small strips to add variation. Otherwise there will be many gaps and the different strips will be clearly visible especially the specular. 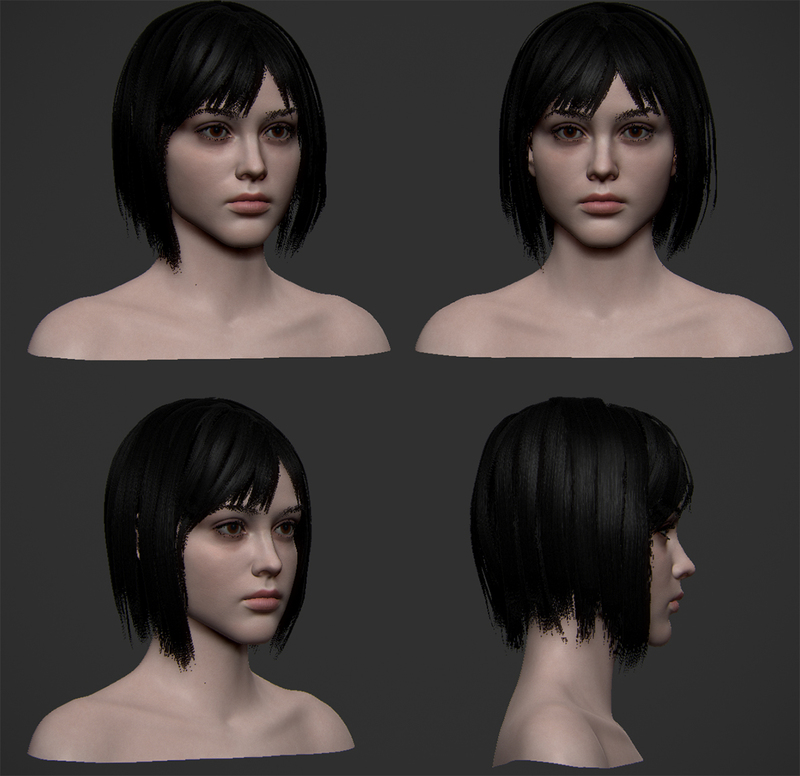 Make a mock up of the hair using fibermesh or dynamesh to get the silhouette/volume. Dont stay too long with the dynamesh head and thus be wasting time with details, instead retoplogize and and resculpt details. Switch between other applications; It may look “good” in zbrush, but when you export it to another application it usually looks bad. So every often a thread like this ( http://www.polycount.com/forum/showthread.php?t=135200) comes up on cg forums and when i read through it a lot of it applies to me. I start to take a step back and ask myself what have i done to improve myself in this craft in the past few months or past 2/3 years? sadly the answer is not much and i haven’t been improving as much as someone else has/is doing somewhere else in the world. So in order to help myself I will summarize some areas that i am particularly bad in and was highlighted in the thread so that i can try to stick with them in future projects/exercises. Don’t make excuses for not modeling something difficult in the concept. Just give it a stab and try otherwise i will never learn it if I keep dodging it. Be realistic on how long the project will take. Dont beat yourself up over not being able to meet time expectations, or when the model looks like crap. Do some smaller modeling exercises every week or two weeks to improve; dont stop cg for months and then start again.